Changes are sudden and disruptive. Knowledge and communication dominate. Victimhood has no place. Aquarius is a change-oriented, intense, fixed energy. The long-awaited Age of Aquarius is finally arriving – forcing us to intensify our vibrational pattern – raising it higher — ascending — into a realm of true Freedom, Brotherhood, and Equality. It is MAGNIFICENT! The very best way to get used to the higher dimensional energies of this sign of the water bearer is to immerse yourself into music fitting of the New Age. In a recent post I shared the Aquarian energies of Wolfgang Amadeus’s Jupiter Symphony — his 41st. Today I share yet a different side of Aquarius. This time we are going into the three-quarter time of the waltz. The waltz is the oldest of the ballroom dances, dating from the middle of the eighteenth Century. Supposedly the German Lander, a folk dance, is the forerunner of the Waltz. When it was introduced into the ballrooms of the world in the early 1800s, it was considered outrageous since the man’s hand was placed around the waist of the lady. This was also the first time a couple danced in a modified closed position. Imagine! But by the 1830s Austrian composer Johann Strauss II gave this dance form a tremendous boost by composing extremely popular waltzes of the day. Strauss, often called “the Younger,” was born in October 1825 in Vienna, Austria. The Blue Danube Waltz, written in 1867, would be THE piece that defined Strauss and made him a pop icon of his time. This beautiful work, named after the Danube River, which touches the border of Austria, is still popular today. A waltz is in three-quarter time – the beat of the heart – the beat of life. Listen to the beautiful “Blue Danube” and WALTZ your way into the vibrations of AQUARIUS. 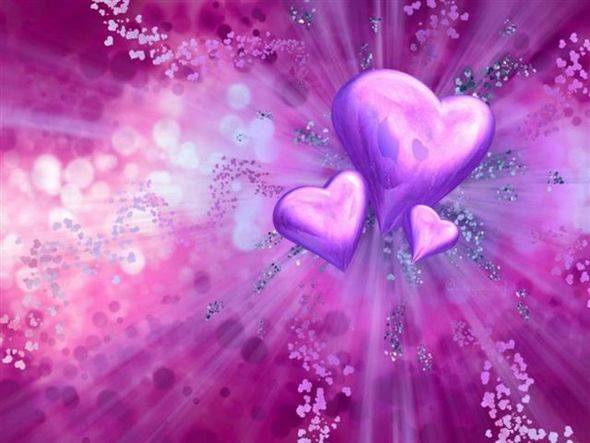 You may even want to envision a Violet Flame surrounding you and your partner. Most of all feel the love of this music. Feel the great love of the new AGE OF AQUARIUS.